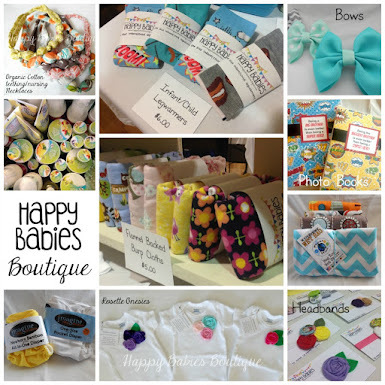 Happy Babies: Fall Fun at Happy Babies! 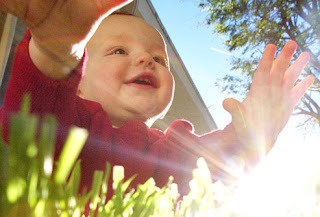 September is an exciting month for Happy Babies! We are celebrating our 1st year! I can't believe that it has already been one year since I created this program and began a new adventure. It has been such a privilege to provide this program for local families with young children. 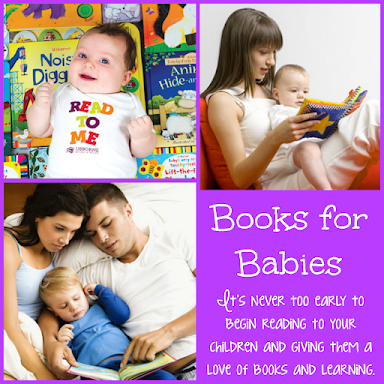 I have enjoyed getting to know so many little ones and seeing them learn and grow. It has been such a great year with Happy Babies and I think we should celebrate! 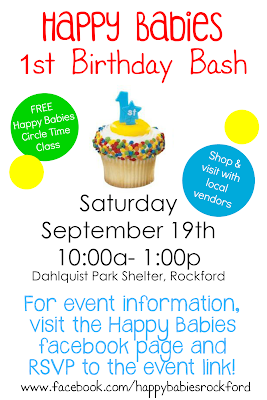 If you are local I'd like to invite you to the Happy Babies 1st Birthday Bash on Saturday September 19th 10:00a- 1:00p at Dahlquist Park in Rockford, IL. 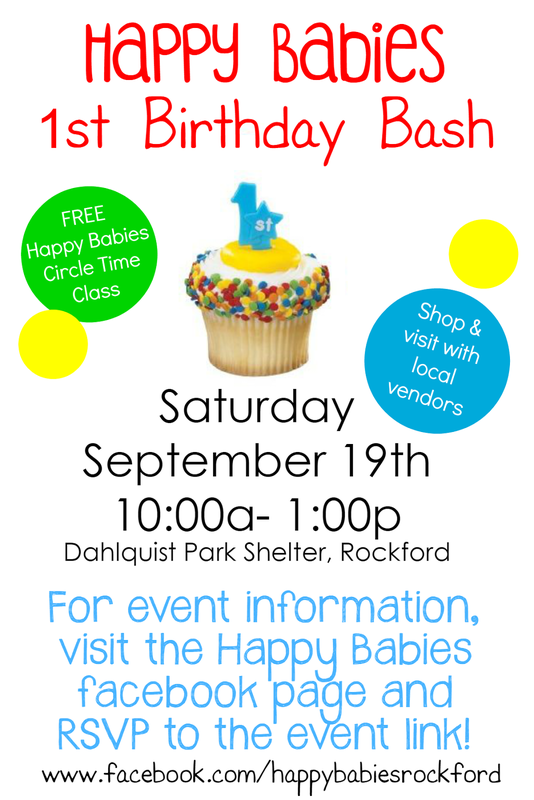 Join us for a FREE Happy Babies & Tots circle time class at 11:00a, visit and shop local vendors with Mommy, Baby & Child items/services, enjoy a delicious cupcake from Sweet Hope Bakery, pack a lunch and stay to visit with other families and let your kiddos play on the playground! 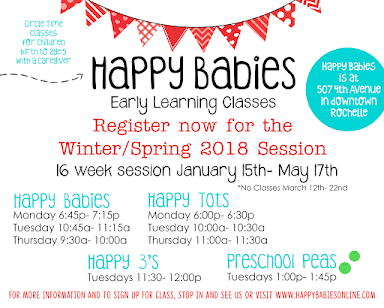 If you have been curious about Happy Babies classes but haven't yet attended a class, this is a wonderful opportunity to come see what the program is all about. Participate in our FREE class and meet local families! If you are on facebook you can check out the event page, RSVP, and share with friends! This event is free and open to all local families. We are asking for donations of diapers or pull-ups for Motherhouse Crisis Nursery in Rockford, IL. Motherhouse is a wonderful and much needed non-profit organization that provides short-term childcare to families experiencing a crisis or stressful situation. If you can, please bring a package or two of diapers/pull-ups in any size to be donated to Motherhouse. This is going to be a great event, I hope to see you there! 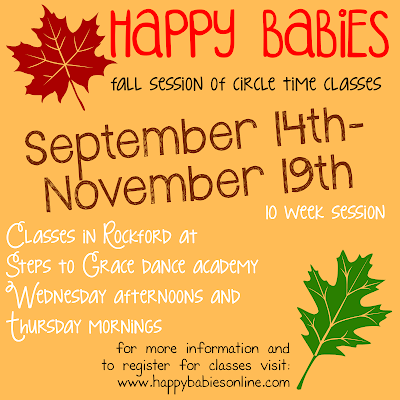 Registration is open for the Fall Session of Happy Babies classes! 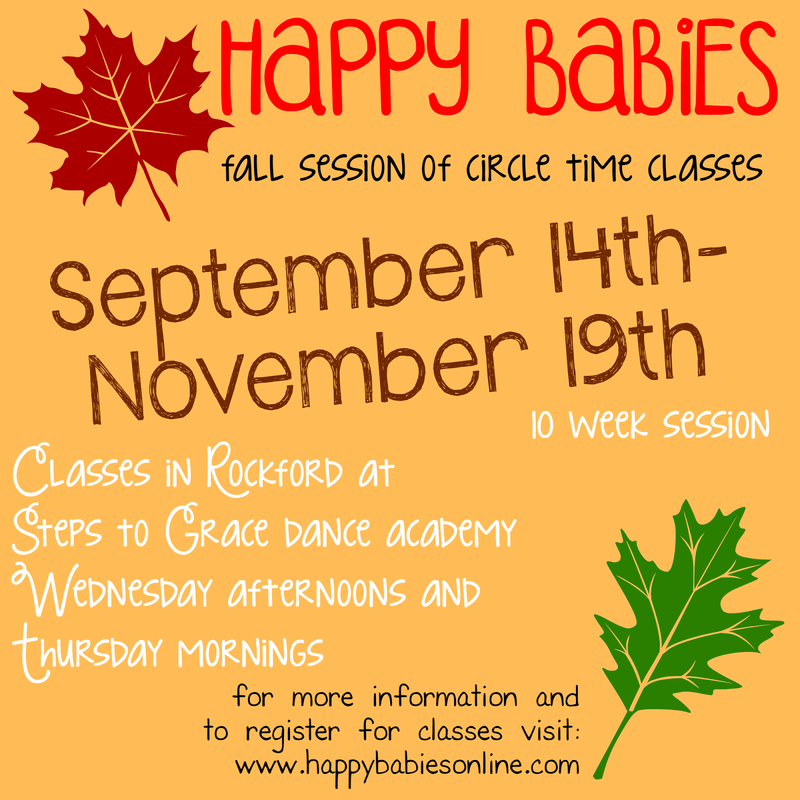 Classes will now be held at Steps to Grace Dance Academy in Rockford (by Cherryvale Mall) Happy Babies is for newborns to pre-walkers and meets Wednesdays 2:30p-3p OR Thursdays 10a-10:30a. Happy Tots is for walkers through 2 year olds (under 3) and meets Wednesdays 3:15p-3:45p OR Thursdays 10:45a- 11:15a. The fall session is 10 weeks. Sign up for the whole session and get a class for free! Whole session is $45, or purchase a 5 class punch card for $25, or drop in for $5 per class. For more information about classes visit our ABOUT page.